If you’re in the market to buy or sell a home, there’s a good chance you’ll need to hire a home inspector. Whether you’re the buyer or the seller, depending on the real estate agent, the contract or price negotiations, you may have to be the one paying for the home inspection. While this isn’t necessarily a bad thing, there are some things you should know when hiring an inspector. Norman Ellis, owner of Stellar Inspections, has been inspecting homes for over a decade with precision and old-fashioned elbow grease. Though he is kept up to date with technology and ever-changing codes, Stellar Inspections has become a preferred inspector in Gwinnett County. When going into your first, or even second or third, inspections, you should know a few things that can help you throughout the process. It is likely that there will be issues with the property you are having inspected. This isn’t to scare you, but to inform you, the majority of houses have their issues. Some are easy fixes and some will require professionals. If you’ll allow us, we’ll refer you to contractors we have known and trusted for years to get repairs done. There are seldom deal-breakers found during inspections, but just be prepared. 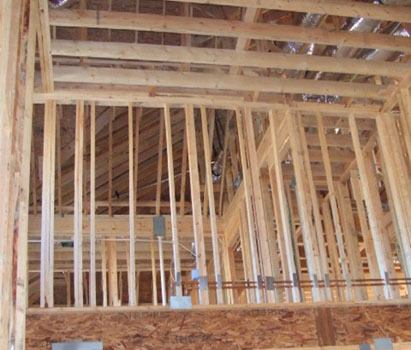 Not only does Stellar Inspections perform residential inspections, but also business inspections, code inspections and framing. Norman’s BS is in construction management, so he is the authority on which issues are fixable and which are completely not up to code and need to be changed. Very few home inspectors have even been on a construction site, let alone been a project manager for a construction company. Make sure your home (or prospective home) is tested for radon. Radon is a colorless, odorless, tasteless gas that has radioactive properties and can be very hazardous to your health. It’s found in basements and lower floors of buildings, but the gas can slowly make its way into living rooms and dwellings. It is very important that your home inspector test for radon. The chance that you’ll need a home inspector at some point or another is fairly great. Turn to the home and building inspector that you can trust, who is fully educated and always learning more. Stellar Inspections is there if you just have general inspection questions or you are ready to schedule your home inspection today.